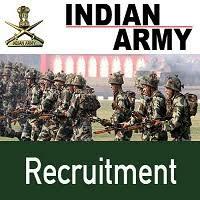 Army Recruiting Office (ARO) Jamnagar (Gujarat) is going to Host an Open Recruitment Rally (Bharti) at Saurashtra University Sports Complex, University Road, Rajkot from 26 April to 05 May 2018. Interested Men Candidates from Jamnagar, Rajkot, Morbi, Surendranagar, Amreli, Bhavnagar, Devbhumi Dwarka, Junagadh, Kutch, Gir Somnath, Porbandar, Botad and Diu (UT) of Saurashtra & Kutch Region of Gujarat State who would like to participating in Recruitment Rally of ARO Jamnagar at Rajkot for Joining Indian Army as a Soldier General Duty, Soldier Technical, Soldier Nursing Assistant, Soldier Clerk/ SKT and Soldier Tradesmen Posts can Apply Online between 25 February 2018 to 10 April 2018 at Official Portal of Join Indian Army at www.joinindianarmy.nic.in/ More Information About Educational Qualifications, Physical Eligibility, and Age Limit are Given Below. ● Age Limit: Candidates age should be as on 01-10-2018. Selection Process: Selection will be based on Physical Fitness Test, Physical Measurement, Medical Exam. ● How To Apply Online?